Lemon’s taking up all the oxygen in the room. It’s a good thing. If you’re as obsessed with the ingredient as me, that is. FYI, I cut the tops off the guys before removing them from the pan just for the picture; it’s twice as efficient to remove them with their domes first (I may be dim but not toooo dim)! 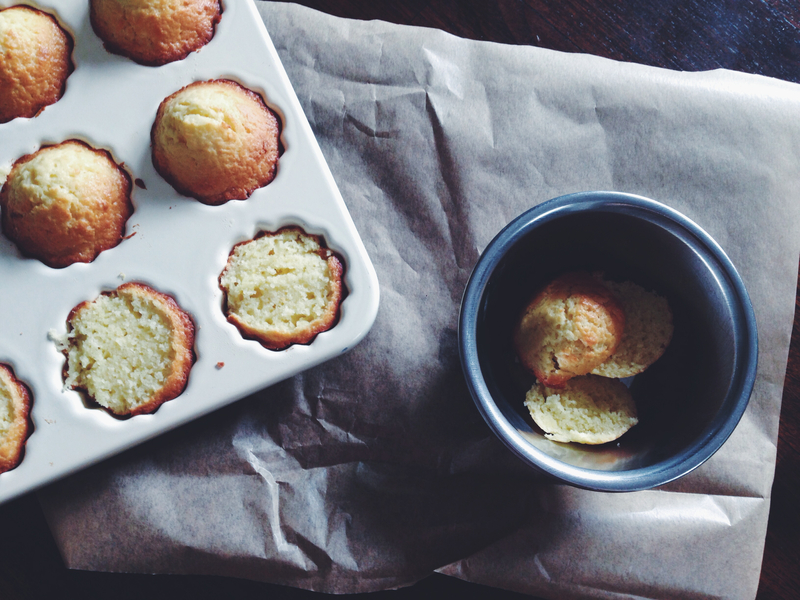 There’s something so endearing about each mini bundt I popped out of the pan. 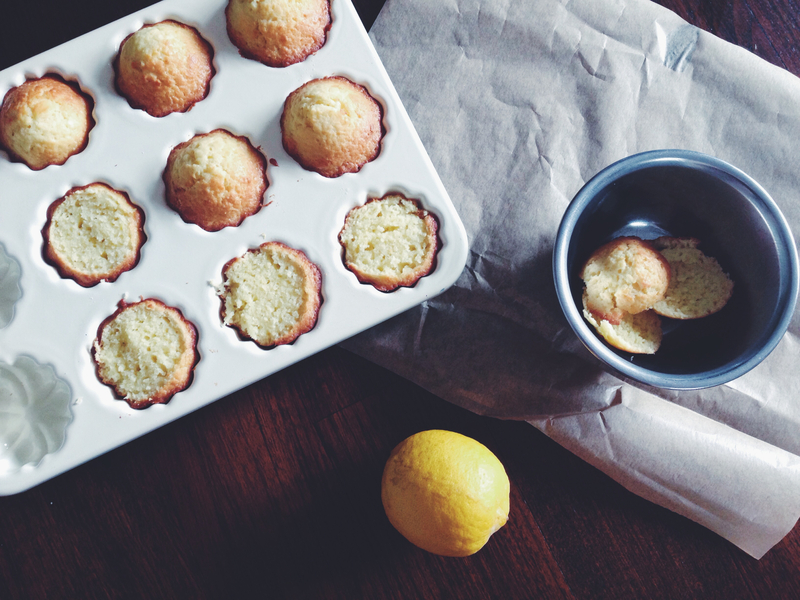 This recipe yields exactly 12 light, springy, lemon-filled balls of sponge. Sponge of medium density, of average sophistication, of half-cake-half-gooey-sponge pleasure. The secret lies in the use of plain yoghurt, which made the little cakes moist but not doughy, and sufficiently dense but well-risen. I adapted the recipe from Nigella’s cookbook, and it’s my personal go-to for something simple, light, lemony, and pleasing. See the tops I cut off? Oh goodness, please save those. The tops boast the sugary, browned crusts, sharp and bit stiff when bitten into, giving way to the most pleasurable, mildly sweet and lemony bite. Coo for crust. These have it all. Preheat the oven to 170C. In a large bowl, sift together the flour, sugar, salt and baking powder. 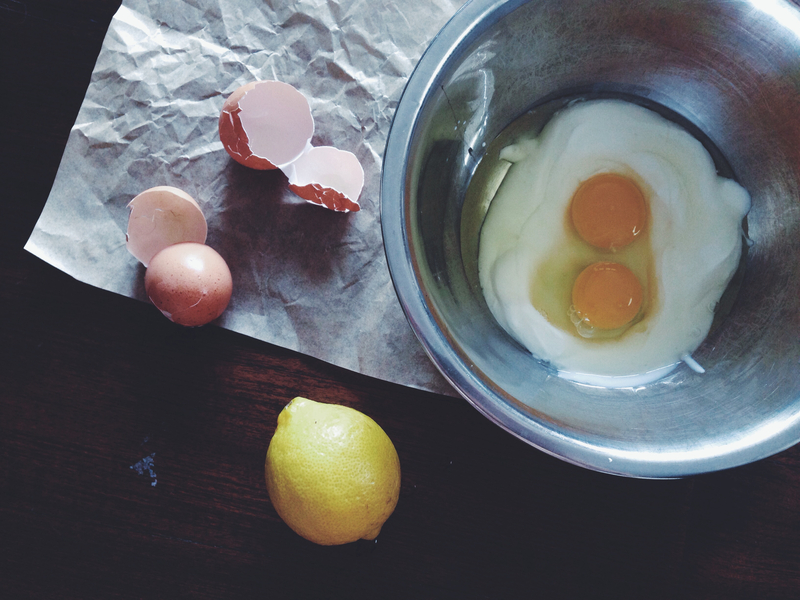 In a measuring jug or smaller bowl, whisk together the eggs, melted butter, lemon zest, juice and yoghurt. Pour the wet into the dry mix and slowly mix everything together, transferring from a wooden spoon to a spatula. the batter should a little thick, of spoon-dropping consistency. Make sure that there are no lumps or streaks of flour at the bottom. 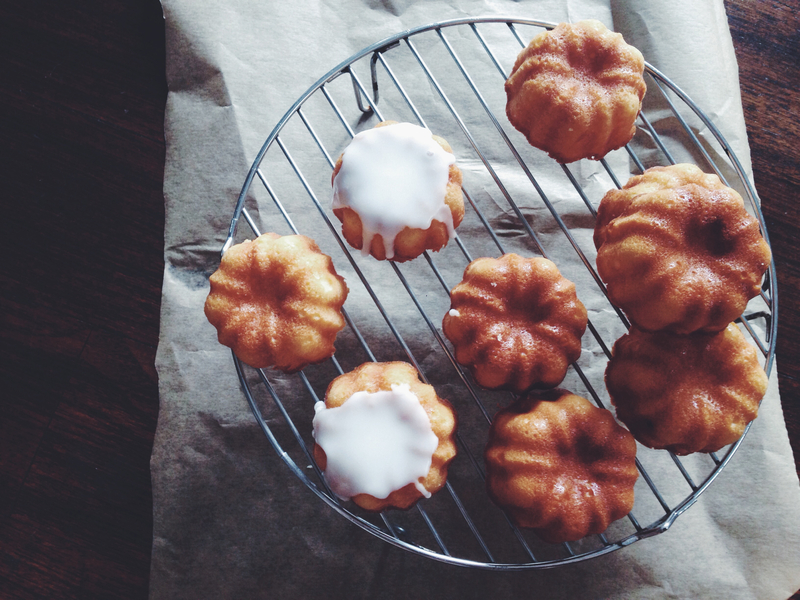 Grease your mini bundt tin and pour the batter into the molds. Bake in the preheated oven for 23-25 minutes. Whilst waiting for the buns in the oven, make the icing. In a medium-sized bowl, whisk together the icing sugar, vanilla and lemon juice. The mix should be thick and runny, not too opaque, and won’t harden after a few seconds of stirring in the bowl. If you need more liquid, add more water, drop by drop. Once the bundts are done, remove from the oven and let cool on a cooling rack. Pour the icing on once they’re cool; it’s actually fine to do so when they’re still a little warm because the heat will help the icing along down the sides. Please please tell me where you got your mini bunt pan, it’s so cute! !